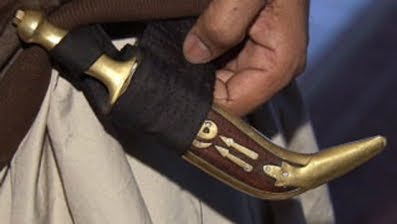 CRIME, GUNS, AND VIDEOTAPE: Sikh Daggers in American Schools is Much More than a Religious Issue! Carried a knife to school all the time. Dad gave me a pocket knife for my birthday when I was a young lad. It was a tool and that's all it was used for. Gave my son a pocket knife and it was almost a meltdown when he took it to school with him. Paul, hope you're in Arizona today. Chicago area got blasted real good with snow and high winds. We'll be digging out thru this weekend. 100's of cars got stranded on Lake Shore Drive last night. Took'em till this AM to get to all of them.